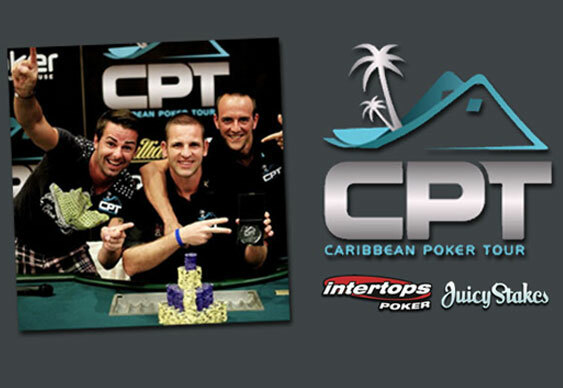 A lucky Canadian player will be 'Living the Dream' and heading to the Caribbean next month after securing a package from Intertops and Juicy Stakes Poker for the CPT event in St Maarten. Online railbirds will be able to follow the adventures of 'Sim79' and fellow qualifier 'GrandmaMary' at the Caribbean Poker Tour Main Event, via a special blog. Both players won packages worth $2,700 for the luxury trip to the Caribbean resort as well as entry into the $1,000+$100 tournament. So how did Sim79 manage to bag the exclusive trip? 'Sim79' offered these tips to players looking to win big in a satellite. Both Intertops and Juicy Stakes Poker are offering 100% reload bonuses of up to $500 until Sunday. Use the code OCT14 when making a deposit at Intertops and OCT2014 at Juicy Stakes.